With the onslaught of stippling brushes, the regular foundation brush has been set aside by many. Not by this author though, there is nothng that I reach for when doing other's makeup but my Suesh's foundation brush. Thanks to my teacher, Ms. Cheryl of Basement, she made me fall in love with regaular foundation brush. 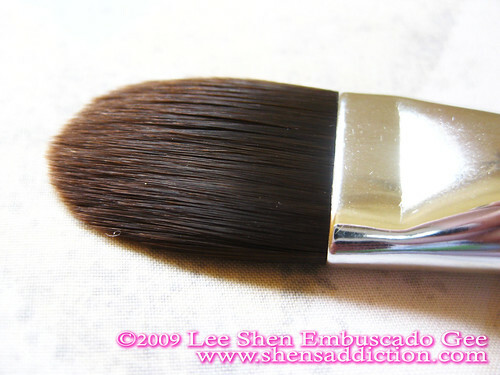 This brush reminds me of Makeup Forever's 20N foundation brush. It's the one that is included in Suesh's Brush sets. It's made of soft nylon hair and as soft as a feather. Its is relatively thinner compared to other brushes which I find easier to work with. The brush leaves little to no trace of brush lines when a proper amount of poduct is used. 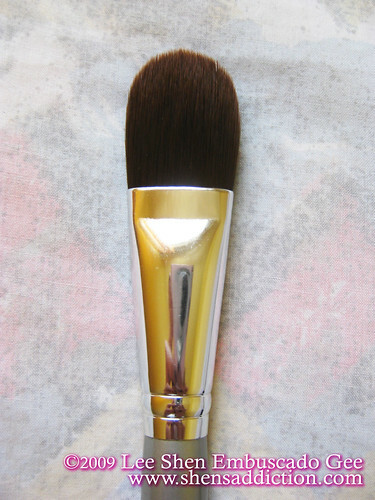 This brush is great for any product such liquid foundation, cream or mousse. It can also be used when cream contouring and concealing. I'm just really glad that this brush is in the 21 piece set I got from Suesh. 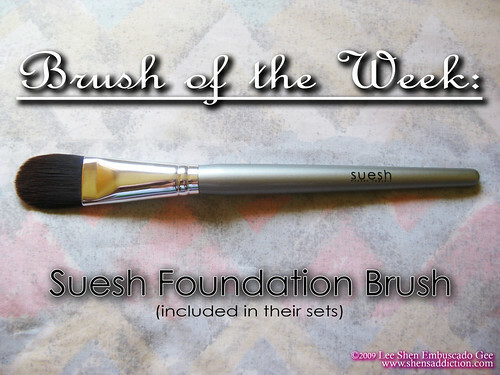 Try many of Suesh's brushes and other beauty tools here.